Oh ho ho is it good! I usually have to put lots of sugar in my coffee, but not with this added. Yum! I'm not a regular coffee drinker but I love Thai iced coffee. 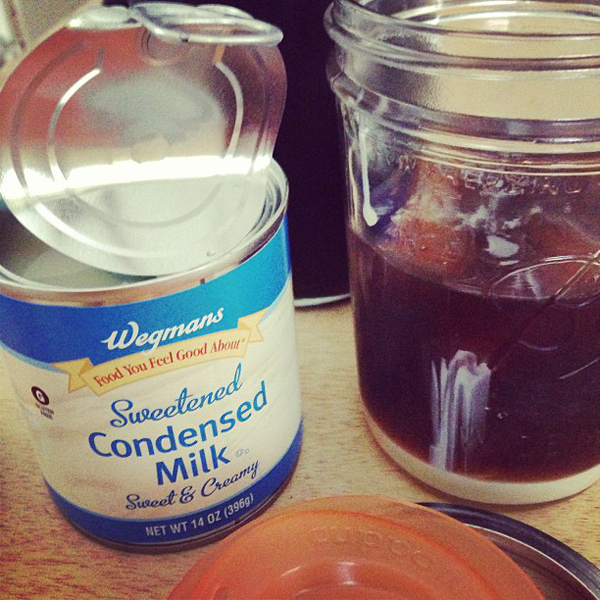 Trader Joe's sells organic sweetened condensed milk in squeeze bottles with flip caps. I bought one just for Thai iced coffee because I can never finish a single can and end up throwing out the remainder every time. PS- Did you know Cuppow released two new colors- pink and mint? Grace - it would be great to have condensed milk in a squeeze bottle! Yes, I saw the pink and mint Cuppows! So CUTE! I'm going to have to order them very soon! i love cold brew ice coffee, it's even easier than making hot coffee then refrigerating it :) The taste is much more mellow and non-bitter, too--almost caramel-y. I highly recommend it! Jennifer - thanks for the link! I had been thinking about cold brew coffee but the contraption at my local coffee shop was intimidating!